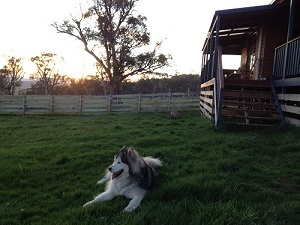 If you are travelling with dogs, Winterkeep is not just dog friendly but dog perfect! Large and secure area for your dog to run around and enjoy. Designed and tested to accommodate an Alaskan Malamute named Winter!